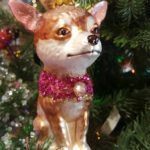 Searching for the perfect gift for the dog lover in your life? 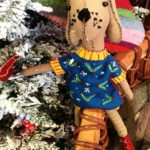 Old Town’s Bazaar del Mundo Shops are full of fun and whimsical holiday gift ideas inspired by man’s best friend. 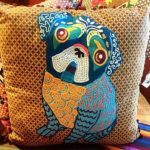 Celebrate a canine companion with a hand-sewn doggy doll, an expressive throw pillow, or fashion accessories from beloved artist Laurel Burch. 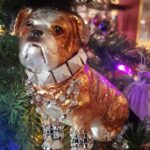 The Shops also offer an array of Christmas tree ornaments featuring dog lovers’ favorite breeds: bulldogs, Chihuahuas, poodles, Scotties, pugs and more! 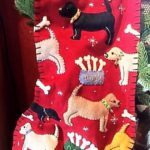 Or, help Fido really feel like one of the family with his own handcrafted stocking. Gifting is made even easier with Bazaar del Mundo’s signature gift wrap – completed onsite and free with any purchase of $30 or more. Owned and operated by Diane Powers, Bazaar del Mundo has been one of San Diego’s favorite places to buy a gift for more than 40 years with its selection of unique merchandise from all over the world, including home accessories and collectibles, handcrafted artisan jewelry, plus creative fashion, quality crafts and folk art. 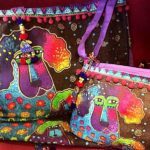 For more gift ideas, visit the Bazaar del Mundo Shops at the corner of Juan and Taylor Streets at the north entrance to Old Town. For directions or to learn more, visit www.bazaardelmundo.com.